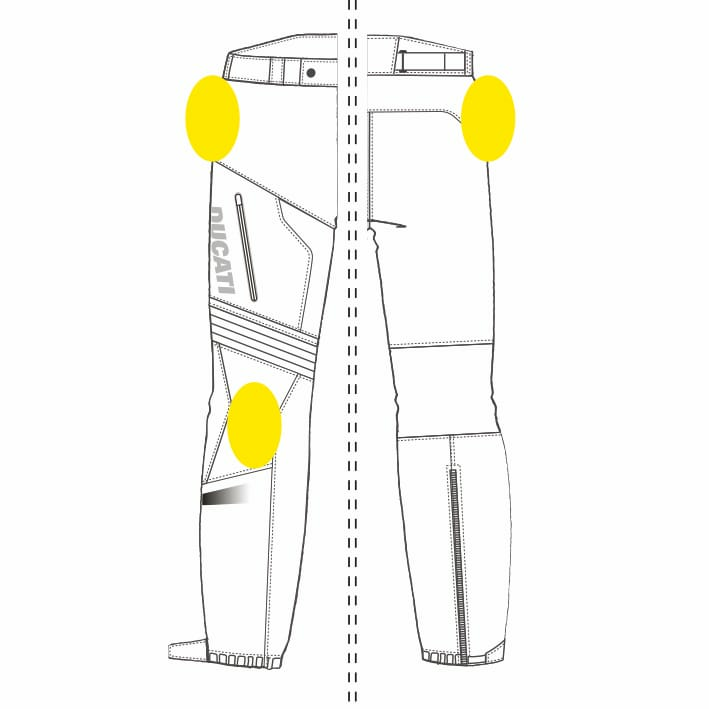 The Tour C3 trousers for sport touring are designed by Aldo Drudi and made in collaboration with Spidi Sport. 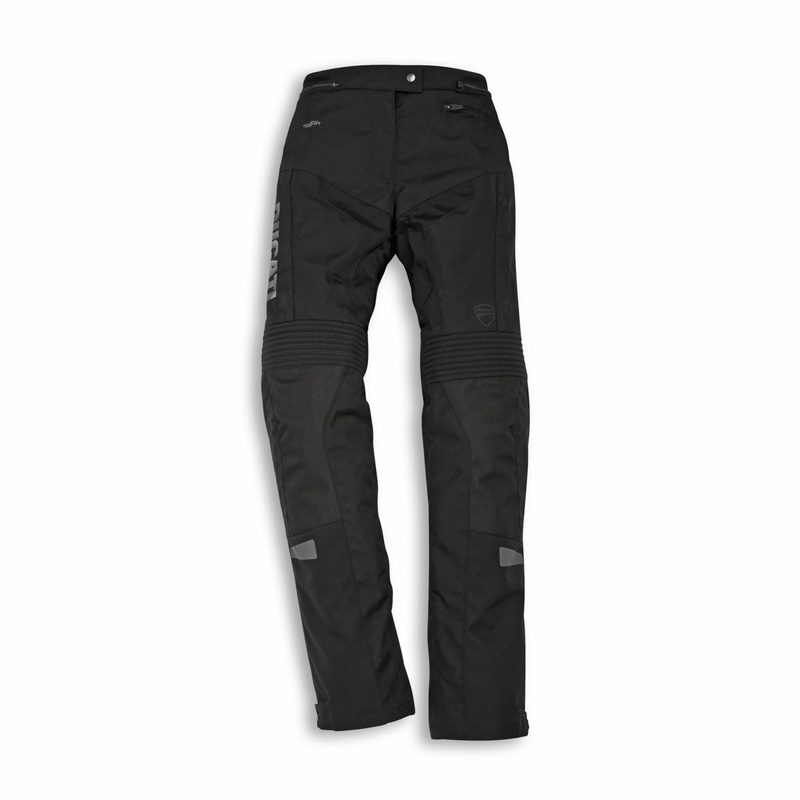 Robust, ergonomic, adjustable, with an H2Out® membrane that is waterproof, breathable and wind resistant, they have CE-certified protectors on the shins and hips and are CE-certified according to the latest European standards. 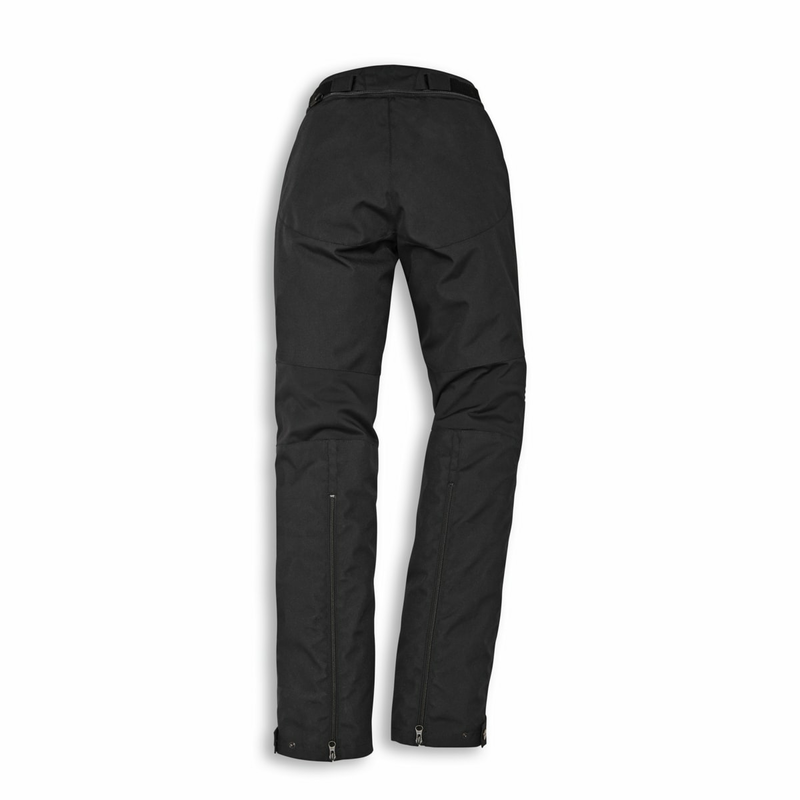 They provide a high level of comfort thanks to a removable lining, elastic fabric, and zipper-adjustable air vents. They can be combined with the Tour C3 jacket both in the standard and HV variants. Also available in a version for women. Warrior Lite protectors certified according to the EN 1621.1 standard.